Southwest Louisiana is well known for having some of the finest inshore and coastal fishing on the Gulf Coast. Nationally heralded as a trophy trout paradise, Calcasieu Lake is one of the Gulf of Mexico’s most prolific estuaries. The Calcasieu Estuary, including the Calcasieu River and Ship Channel from Lake Charles to the Gulf of Mexico, offers an unforgettable fishing experience. The Calcasieu Estuary offer great fishing for the most sought after inshore game fish on the Gulf Coast. Speckled trout, redfish and flounder are the most common inshore species targeted, but plenty of other fish species are abundant as well. Black drum, white trout, tripletail, cobia, spanish and king mackerel, snapper, pompano and sharks can be found along the Southwest Louisiana coastline and near shore oil platforms. 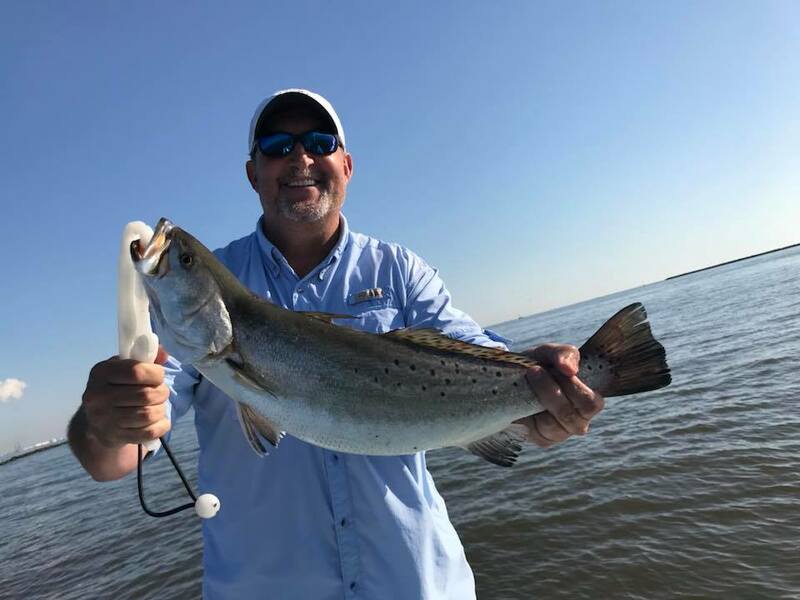 Our friendly, patient and helpful captains are all U.S. Coast Guard and Louisiana licensed professionals with years of experience fishing Calcasieu Lake. Highly experienced anglers as well as first timers will enjoy fishing with our seasoned pros. 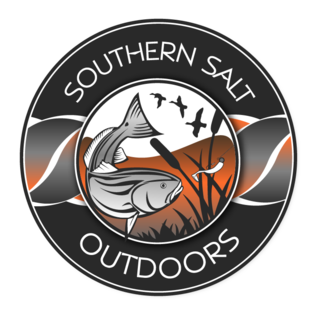 Whether you are in search of that once in a lifetime trophy, entertaining an important business contact or just taking the family out for a little fun, Southern Salt outdoors can provide the right trip for you. Our lodge, located in the quaint settlement of Hebert’s Marina on the eastern shore of Calcasieu Lake is where your trip begins. A 7-8 hour standard day trip and does not include any lodging or meals. You should arrive at our dock in the morning before sunrise so that the boats can be loaded and depart at the first safe light, returning by 2 pm that afternoon. We Provide: Rods and reels, fuel, oil, ice, artificial baits, and a cooler with ice onboard for your supplies. You Can Bring: Any necessities, lunch, drinks, your favorite rods and reels. Be sure to check the What to bring checklist. The cost for the boat is determined by the number of anglers on board. We recommend two fishermen per boat for maximum comfort, but take as many as four per boat. A flexible package that includes economy lodging and use of our facilities but you are responsible for your own meals and beverages during your stay. We Provide: Economy lodging, Rods and reels, fuel, oil, ice, artificial baits, and a cooler with ice onboard for your supplies. You Can Bring: Any necessities for meals, lunch, drinks, and your favorite rods and reels. Be sure to check the What to bring checklist. All inclusive package that includes deluxe lodging, meals and all beverages. This package allows us to take care of all the details while you relax and enjoy yourself. We Provide: Deluxe lodging, three meals, drinks, rods and reels, fuel, oil, ice, and artificial baits. Includes complimentary open bar with premium liquors, wine and beer. You Can Bring: Any necessities, your favorite rods and reels, Be sure to check the What to bring checklist. Combines a round of golf and our all inclusive deluxe fishing package. You have a choice between two of Louisiana’s finest courses, The Gray Plantation, which is a member of the Audubon Golf Trail or the Contraband Bayou Golf Club located at the L’Auberge Casino Resort. Be sure to check the What to bring checklist. We Provide: Deluxe lodging, three meals, drinks (including a complimentary open bar), rods and reels, fuel, oil, ice, and artificial baits.